Thus began being super fans. If anyone recalls, four years ago, we went on a bender of their shows, seeing them every chance we could. Writing about each one on this very site. And others were taking notice as well; I remember reading an article about them on The Metro as I took my train ride to work. They self-released their debut EP that summer. This album blew us away and inspired us to start our own record label, KLYAM Records, to release it on 10″ vinyl. 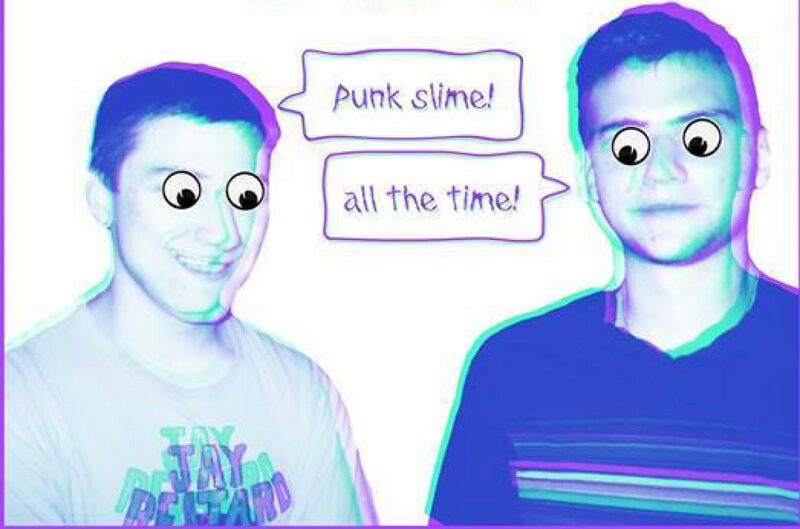 Around that time Feeding Tube put out a 12″ featuring “Dad Weed” and “Daydreaming.” In 2014, their first full length LP Must Be Nice came through via Sophomore Lounge. 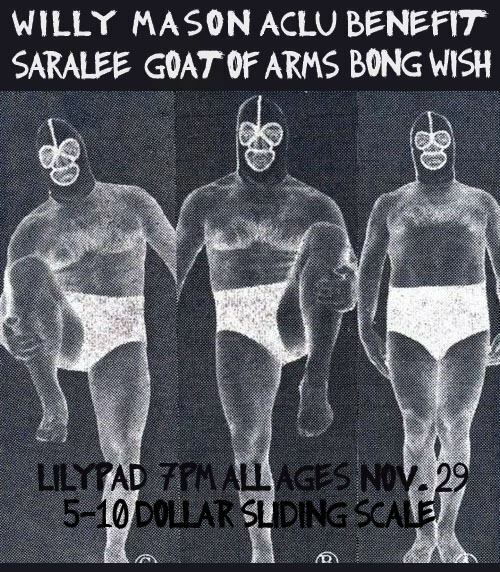 Come to their first show since Fuzzstival 2014 — FRIDAY, SEPTEMBER 2, 10 PM, at LILYPAD in Cambridge!!!!!!! Oh and to stir up your excitement even more, the group has posted two new songs to their BANDCAMP. “IN LOVE” and “MAN IN THE WINDOW”. Check ’em out!!! First things first, THANK YOU to all of the folks that came out, all the bands that played, The Lysergic Factory Lightshow, and Mickey Bliss & Crew/Cantab Lounge for rockin’ and/or rollin’ with us last Friday for the first KLYAM Presents show of the year. We love all of y’all. Now, we are moving to a new grooving. This Saturday, January 24th @ Lilypad in Inman Sq. Cambridge a new fiesta is in the making. 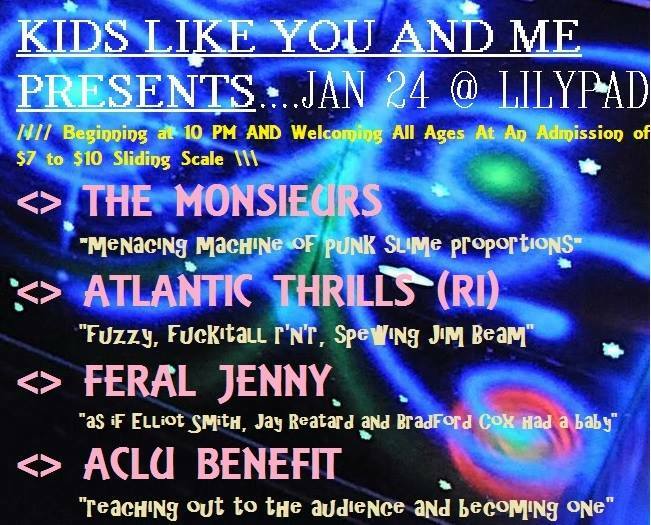 The Monsieurs, Atlantic Thrills (Providence), Feral Jenny, and ACLU Benefit will be tearing it up and down… starting at 10PM and going till 1AM. I’m talking 10 PM SHARP! This thang is getting started on time, no foolies. Seriously get there at 10, don’t make me tell you again! There’s four excellent bands playing and you don’t want to miss any of them or else you fail at life… Oh oh and it’s ALL AGES!!! 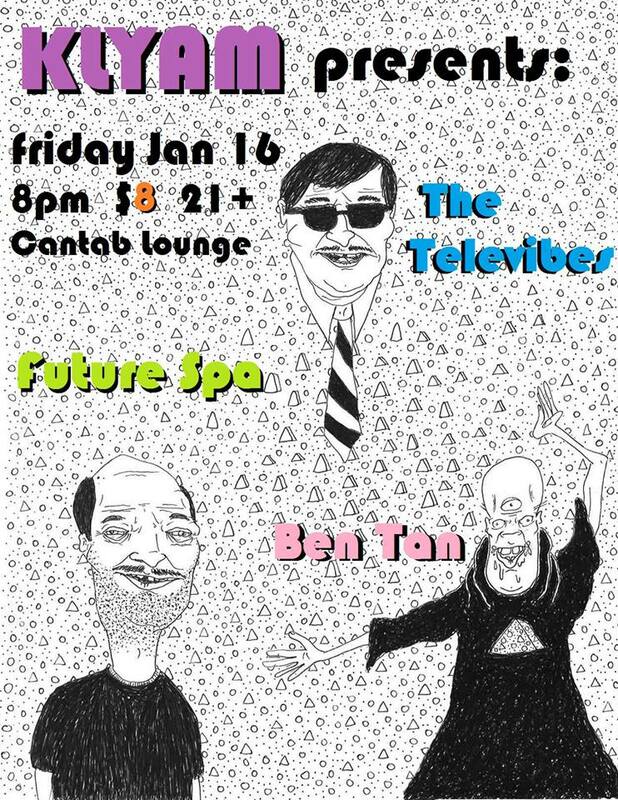 so bring the kids, the babies, the angsty teens, ehh no old folks. JK, bring em’ too. So, one more time. Lilypad, 10PM-1AM. ALL AGES. $7-10 sliding scale. Be there.